It is perhaps appropriate that our 100th Post at Communis Hostis Omnium should discuss the issue of a prosecution mechanism and the Jack Lang Report as this was the same topic of our first post in January 2011. From its humble beginnings, this blog has grown in readership and gathered many contributors along the way. We will continue to provide objective analysis of the legal issues surrounding maritime piracy and hope to add some new features. In this regard, today we are introducing a feature called the Weekly Piracy Review which will provide a brief summary of the most important news events of the week and link to relevant analysis where appropriate. Our thanks and welcome to Christine Hentze for taking up this feature. Please continue reading and commenting! There appears to be a developing international consensus that something more than national prosecutions of pirates must be pursued in order to address the growing backlog of piracy prosecutions and to reduce the problem of catch and release. That solution appears to be a specialized piracy chamber. A specialized piracy chamber would be a court created within one or more regional states (i.e. Seychelles, Kenya, or possibly Tanzania) and would deal with every piracy prosecution referred thereto. The court would apply that state’s municipal law consistent with the applicable constitutional and statutory framework. Furthermore, the state’s criminal rules of procedure would apply, although specific rules of evidence might need to be adopted in view of its unique mandate. Two sources in particular indicate this is the solution that is gaining support. It is true that suspected pirates have been successfully prosecuted in ordinary courts throughout history. Because of this, the Administration has previously been reluctant to support the idea of creating an extraordinary international prosecution mechanism for this common crime. Instead, the Administration has focused on encouraging regional states to prosecute pirates domestically in their national courts. However, in light of the problems I’ve described to you today, the United States is now willing to consider pursuing some creative and innovative ways to go beyond ordinary national prosecutions and enhance our ability to prosecute and incarcerate pirates in a timely and cost-effective manner. We are working actively with our partners in the international community to help set the conditions for expanded options in the region. In fact, we recently put forward a joint proposal with the United Kingdom suggesting concrete steps to address some of the key challenges we continue to face. In addition, we have suggested consideration of a specialized piracy court or chamber to be established in one or more regional states. The international community is currently considering this idea, along with similar models that would combine international and domestic elements. These ideas are under discussion both in the UN Security Council and in the Contact Group.” (emphasis added). 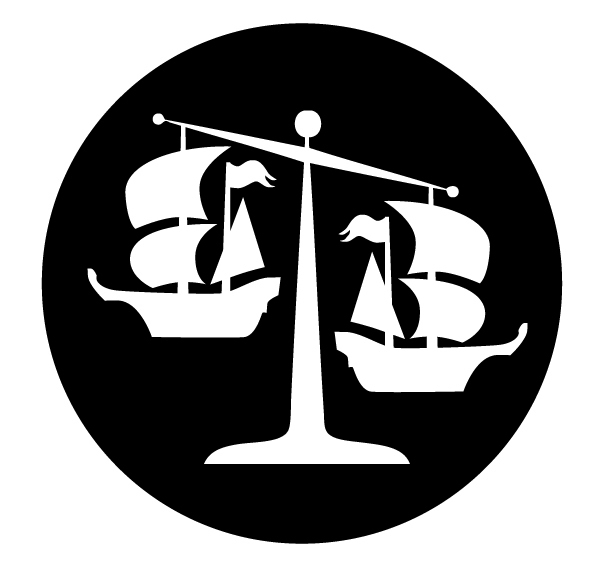 [W]e need to acknowledge the reality that many states, to varying degrees, have not demonstrated sustained political will to criminalize piracy under their domestic law and use such laws to prosecute those who attack their interests and incarcerate the convicted. The world’s largest flag registries—so-called “flags of convenience”—have proven either incapable or unwilling to take responsibility. And given the limited venues for prosecution, states have been reluctant to pursue prosecutions of apparent or incomplete acts of piracy, limiting our ability to prosecute suspects not caught in the middle of an attack. [S]ome prosecuting jurisdictions, in a climate in which foreign aid budgets are dwindling, may be in a rare position to provoke a bidding war for international assistance between the various counter-piracy missions in the Gulf of Aden in return for prosecutions. A rational allocation of counter-piracy resources may thus require a more centralized approach in negotiating future agreements. The most likely candidate for this centralized role would be UNODC and/or UNDP as they have taken the lead in establishing the modalities for these specialized chambers. At the same time, donor states will have to be consulted. Considering all of the stakeholders and the fragmented nature of responses to piracy, strong leadership will be required to create a holistic solution. 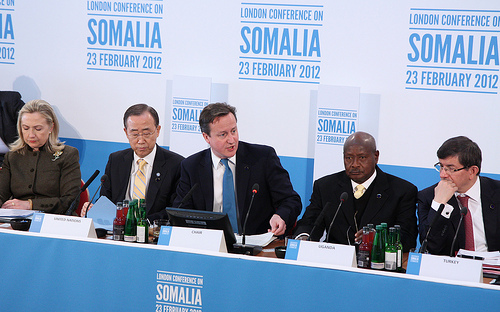 The much awaited London Conference on Somalia was finally held at Lancaster House, London on 23 February 2012. Fifty-five delegations attended the Conference, including the UK Prime Minister, David Cameron, the UN Secretary General, Ban-ki Moon and the US Secretary of State, Hillary Clinton as well as the leaders of various countries in the Gulf of Aden and East Africa region, such as Djibouti, Seychelles, Mauritius, Kenya and Tanzania. Leaders of Somalia’s Transitional Federal Government as well as of the breakaway regions of Puntland, Galmudug and Aluh Sunnah wal Jamaah (ASWJ) also participated. As anticipated, the self declared autonomous region of Somaliland attended the Conference, marking a major policy shift for the former British protectorate which deliberately stayed away from several previous peace conferences on Somalia. While the participation of all regions of Somalia was certainly a legitimating factor for the Conference, it is worth noting that the direct interests of Somalia were represented by 5 different delegations. The Conference was meant to be a key moment in Somalia’s troubled history and called for a change in the international approach from the fruitless policies of the past 20 years. The Conference was preceded by much debate and a degree of controversy, particularly on the future of Somalia’s transitional federal institutions, whose mandate will end in August 2012. The Somali diaspora showed hope for more inclusiveness in building the political and economic landscape of the country. On the eve of the conference, in a bid to increase leverage of the decisions to be taken in London, the UN Security Council boosted the current African Union peacekeeping mission, raising its troop contingent up to 17000 soldiers. The Conference registered a series of important political commitments from the stakeholders of the Somali cause, relevant to political, humanitarian, security and governance issues. Notably, leaders attending the Conference recognized the importance of empowering the Somali population and creating accountability for its political leadership, with the international community acting as a facilitator of the process. We will soon assess whether these commitments could turn into effective and practical action and what will be their contribution in shaping the future of this country. Not surprisingly, the fight against piracy occupied a prominent place in the discussion. Perhaps the most important aspect of the Conference in this regard was the acknowledgment that piracy in Somalia requires a comprehensive approach on land as well as at sea to tackle the root causes of piracy. This is a very important step. A military-focused approach of targeting pirates at sea coupled with limited judicial accountability measures could only provide a short term deterrent if not coupled with social development, economic growth and good governance. The underlying causes of piracy, but also its direct effects, are inextricably intertwined with all other problems affecting Somalia. Some of the most encouraging developments of the Conference pertain to the immediate fight against piracy. These include the signing of important agreements enhancing the current plans by the international community to create a “cycle of justice”, or, as we called it, a “Globalized System of Criminal Justice”, where pirates are caught at sea, transferred to regional states for prosecution and, finally, imprisoned in Somalia. Hosting the Conference created momentum upon the UK’s own contribution to tackle piracy. The UK and Tanzania signed a memorandum of understanding allowing the UK Royal Navy to transfer suspected pirates apprehended at sea to Tanzania for prosecution. The UK also signed a statement of intent with Mauritius for the same purposes. These agreements are particularly relevant in light of Kenya’s current suspension of the transfer of suspected pirates for prosecution before its national courts. Plans for the imprisonment of pirates also registered some significant development. Puntland committed to the transfer of convicted pirates in the region to its prisons from August 2012. In an effort to enhance its anti-piracy strategy, Somaliland will also focus on improving its capacity to jail suspected and convicted offenders. 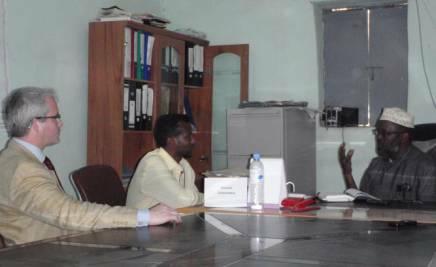 Somaliland signed a ground breaking agreement with Seychelles for the transfer of convicted pirates to its prisons. In addition, Somaliland has recently passed a law declaring piracy illegal and making it an offense punishable by a maximum of twenty-five years. 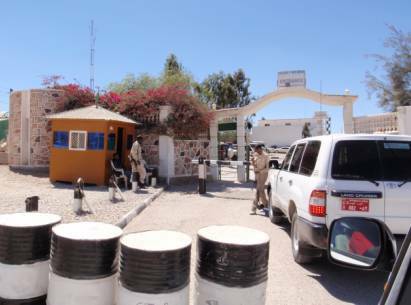 Somaliland previously limited prosecutions to charging alleged pirates with armed robbery. The first chance to evaluate the outcome of the London Conference will be, yet again, at another conference. Turkey, an increasingly growing ally of the Somali cause, will organize in cooperation with the UN the Second International Conference on Somalia. The conference will be held on 1 June 2012 in Istanbul. In addition, the UAE, the current chair of the Contact Group on Piracy off the Coast of Somalia. will host a second International Maritime Counter-Piracy Conference on 27-28 June 2012 in Dubai, further to an initial event hosted in April 2011. But the real work will be on the ground as attempts are made to execute the promises made at the conference, including exercising the rights and obligations set out in the newly minted transfer agreements.